They fell apart over a candidate for president. 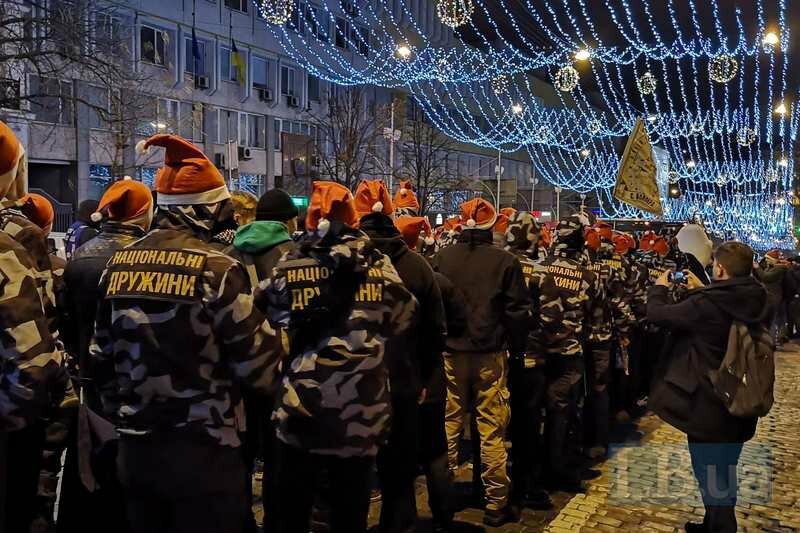 Ukrainian nationalists, who earlier failed to agree a single candidate for president, held separate processions on the 110th anniversary of a World War II nationalist hero and proponent of independent Ukraine, Stepan Bandera, on 1 January. 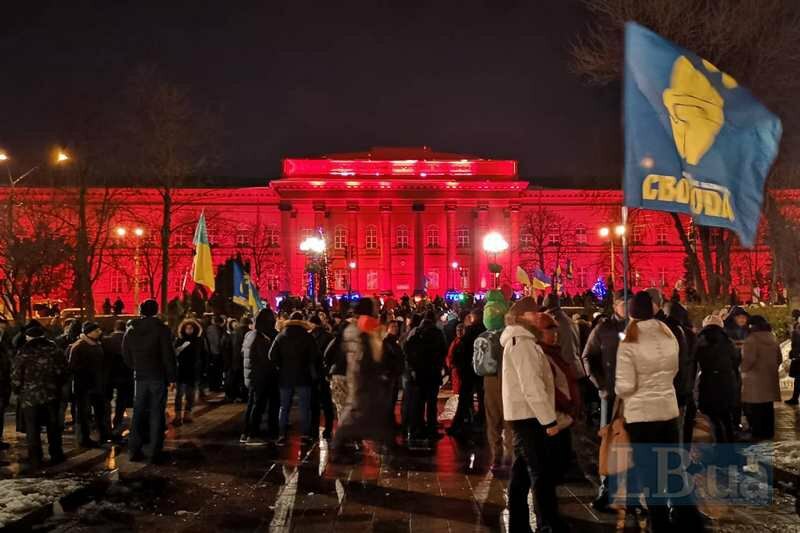 According to an LB.ua correspondent, Andriy Biletskyy's National Corps met outside the Opera House and marched towards Independence Square at 5.30 p.m.
Other nationalists led by the Freedom party had a separate torch-lit procession in the Taras Shevchenko Park. They have held them this day for several years now. According to preliminary estimates, several hundred people attended both events. Potential presidential candidate Ruslan Koshulynskyy, MP Andriy Illyenko and Infrastructure Minister Volodymyr Omelyan attended Freedom's event. Koshulynskyy's nomination for president is supported by Freedom leader Oleh Tyahnybok, Right Sector leader Andriy Tarasenko, Organisation of Ukrainian Nationalists leader Bohdan Chervak, the head of the Congress of Ukrainian Nationalists, Stepan Bratsyun, and C14 leader Yevehn Karas. 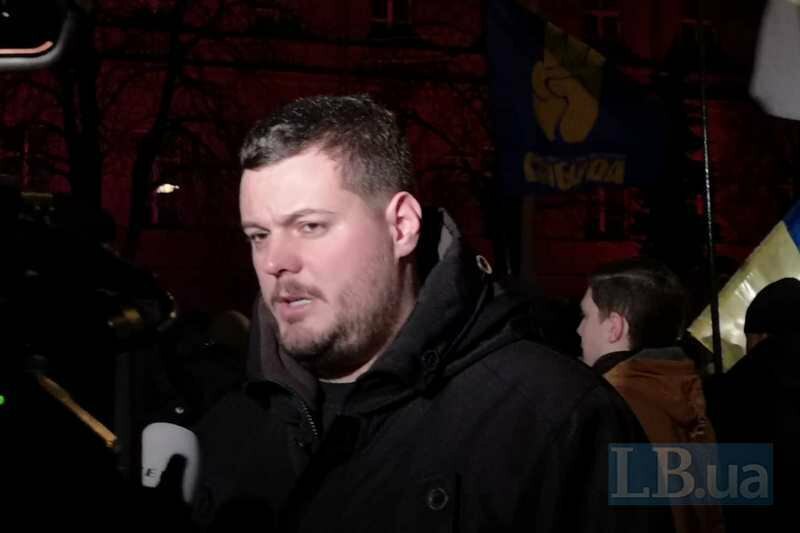 However, the National Corps insists that all these people have no support among "a million of Ukrainian nationalists" and plans to nominate Andriy Biletskyy for president. In March 2017, the leaders of the major far-right parties of Ukraine signed a manifesto in which they pledged to commit their efforts to achieve common political goals. Initially, they were planned to run in elections as a single force.